We're bringing you fabulous new writing in Issue 14. Our fiction pieces take readers from small town Vermont to the borderlands of Mexico and the United States. This issue features work by writers including Roxanne Doty, Lori DeBoer, and Saramanda Swigart. Our poetry, as always, is eclectic and provocative. We are happy to include work by award-winning poets including Chelsea Dingman, Joseph Bruchac, and Dustin Pearson alongside the provacative and engaging artwork of Deluxe Unlimited. Saranac Review is now a paying market! We look forward to reading your work. 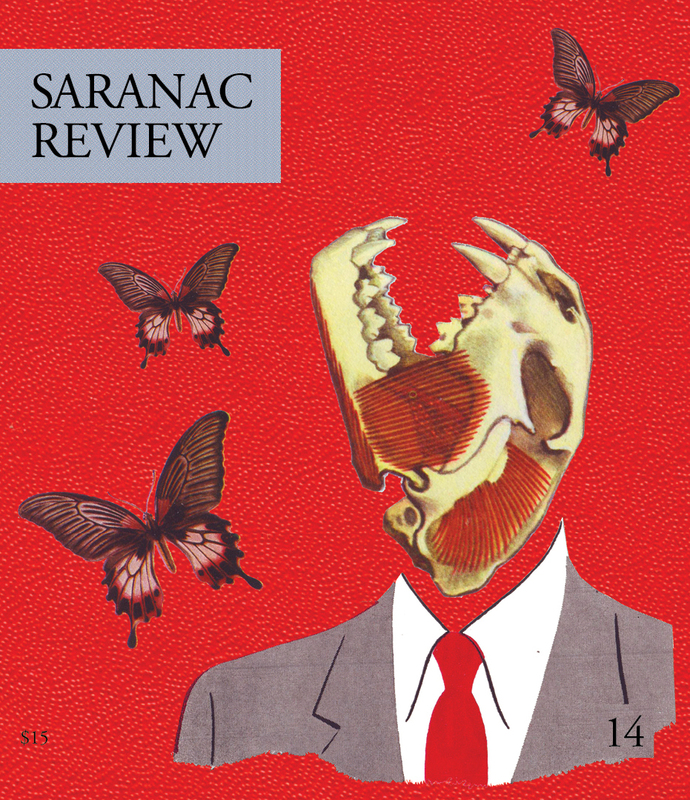 The Saranac Review was born in 2004 out of four writers' vision to open a space for the celebration of the many voices in the United States and Canada. Attempting to act as a source of connection, today the journal is committed to dissolving boundaries of all kinds and seeks to publish a diverse array of emerging and established writers from the United States, Canada and beyond..
Our Logo: Reader by Rockwell Kent, 1933. Courtesy of the Plattsburgh State Art Museum, SUNY Plattsburgh, USA, Rockwell Kent Collection, Bequest of Sally Kent Gorton. All rights reserved.